The Sea Grass collection is based on fluidity. Mimicking the hypnotic dance of sea grass being swayed by the ocean currents was the inspiration for this lighted sculpture collection. These truly organic pieces generate a soothing energy. 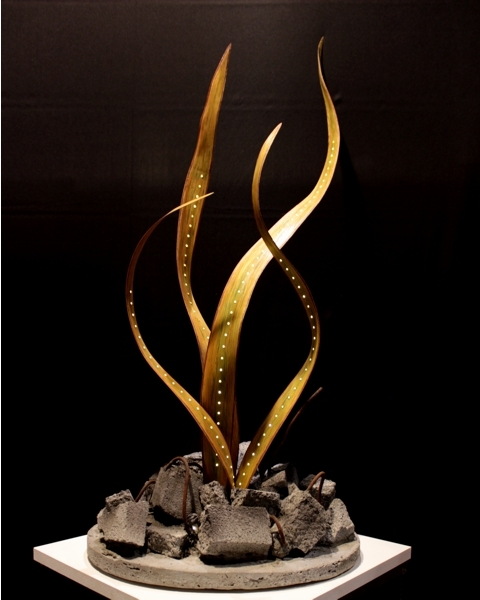 This piece is inspired by the natural and manmade destruction we see too often in cities around the world. From under torn metal and concrete, the hope of rebirth and new life emerges. The wide blades are finished in layered green tones and dotted with speck lighting accents. The pedestal was designed to emphasize the sculpture message and is made from actual rebar (sold separately). 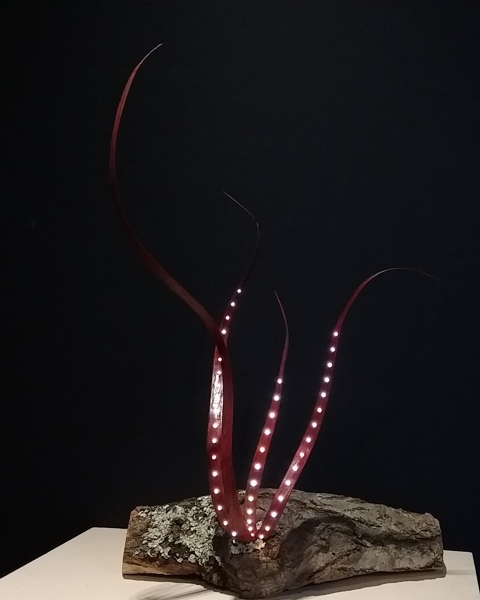 This piece is part of our new Sea Grass collection. Dimensions: 32" x 16" overall diameter shade. Part of the new Sea Grass collection, this piece features delicate oak blades that twist and curve out of a beautiful pottery base. This piece, with its pleasing proportions and unique spots of light, is truly unique. Each tiny light on the blades is an LED. A fairly complex fabrication process was developed to create the ultrathin and flexible blades seen in all of the Sea Grass collection. Dimensions: 25" tall, 14" footprint. Delicate reddish wooden blades twist and curve out of a natural base. This piece’s minimalist design is a prime example of what I consider “beauty in simplicity”. Each tiny light on the blades is an LED. A fairly complex fabrication process was developed to create the ultrathin and flexible blades seen in all of the Sea Grass collection. Dimensions: 20" x 14" overall. 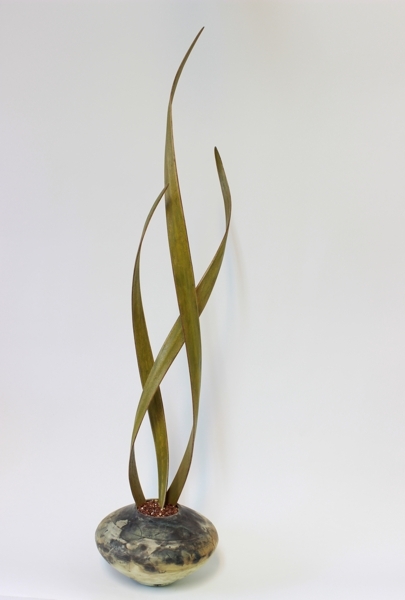 Part of the new Sea Grass collection, this piece features delicate oak blades that appear to be swept by the wind or drifting from some imaginary under water current. The pottery base is by a local artist. This piece was juried in a local art gallery. 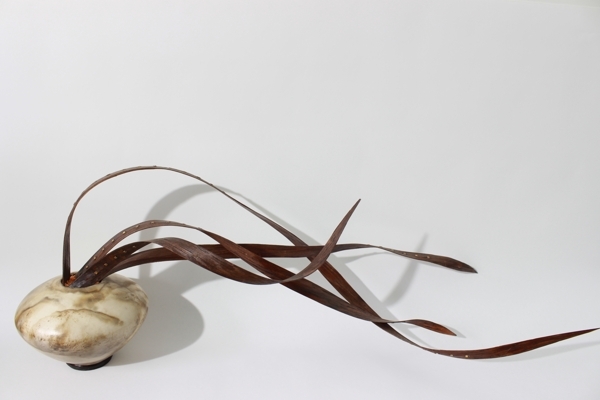 This piece is very unique in the sense that it represents the first model of the new Sea Grass collection. It took quite a bit of trial and error to develop a successful process to assemble the blades. 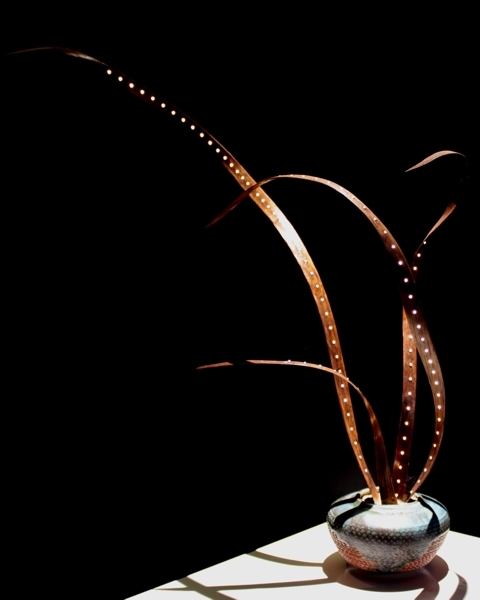 Each tiny light on the sculpture is an LED. Dimensions: 22", 5" diameter pot.